This familiar verse, a promise made in many wedding vows, Sherry faithfully puts into practice each and every day as she cares for her terminally ill husband. For Sherry, and countless other family caregivers like her, these words are particularly poignant. For 12 years, she has walked alongside her husband, Russ, and his mysterious terminal illness. With help from Hospice of the Red River Valley, she can deliver on her promise. In February of 2004, at age 44, Russ suffered a severe seizure and was in a coma for three days. From that point on, his health quickly deteriorated. Throughout the next few years, he would experience more seizures which would eventually rob him of mobility, dexterity, thought process and balance. Russ enjoys time with his son and daughter-in-law. 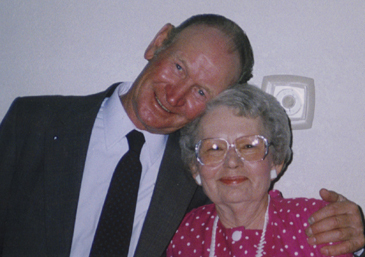 For the first six years of the illness, Sherry cared for Russ in their home. Living on a farm in rural Minnesota, she struggled to find health care resources to help with his every day care. “I had so much trouble,” Sherry recalled. “Our son was living at our house, taking care of him during the day. I’d come home at lunch and take care of him at night. 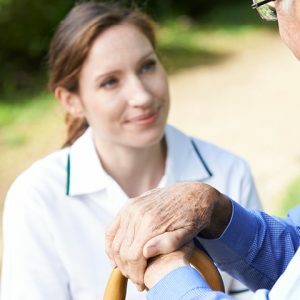 I was exhausted and overwhelmed.” Sherry’s doctor recognized the personal toll caregiving was taking on her and suggested Russ be evaluated for hospice care. Hospice cared for Russ at their home for almost a year. All the while, Russ continued to steadily decline and went from using a walker, to a wheelchair, to a hospital bed in the living room. When Sherry couldn’t continue to care for Russ at home any longer, Hospice helped her transition Russ to a nursing home. Being cared for by Hospice has been added relief for Sherry and a benefit for Russ, who has now experienced hospice care far longer than the average person. 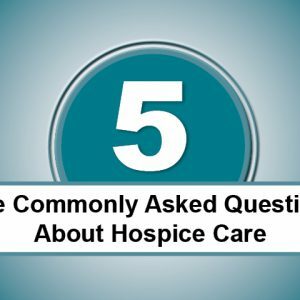 A member of Hospice’s medical team must regularly visit Russ to re-certify that he still meets the medical guidelines for care. With the luxury of time, Russ has developed quite the relationship with Hospice staff members, particularly Sue and Suz, his Certified Nursing Assistants. He depends on them and looks forward to their visits. “They care about him and it shows in how they care for him.” Sherry acknowledged. “They’re so sincere and remember the little details. They share their personal interests and have developed a relationship with Russ.” Both Sherry and Russ appreciate the extra effort hospice staff members take to get to know him. With the uncertainties and unknowns of Russ’ illness, occasionally people question Sherry about hospice care. “People say, how can Russ be on hospice when he’s not in the eleventh hour and dying? And that’s not how it is. He’s terminal, so I don’t know how to answer that question. I just know we need it. I know he needs it. I know I need it,” she said. In addition to providing for Russ’ medical, emotional and spiritual needs, Sherry quickly realized Hospice could support her, too. A representative from the Dream Foundation awards Russ with the grant award. Sherry believes Hospice staff members go way out of their way for Russ. She looks to a recent example as proof: Russ’ social worker, Deb, devised a plan to grant one of Russ’ wishes through the Dream Foundation, a national dream granting organization for adults who are terminally ill. At first, Deb and Sherry thought about applying for a grant so Russ could meet a Minnesota Viking, his beloved football team. But after talking with Russ, they discovered his wish was much simpler—he just wanted to see his son. 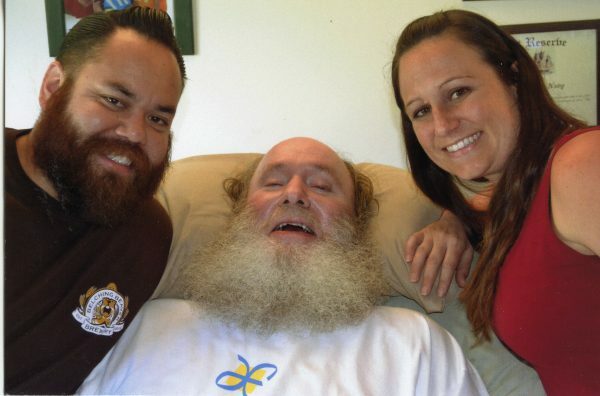 Russ is bedridden and can’t travel, so together Deb and Sherry applied for a grant through the Dream Foundation to fly Russ’ son and wife home from California to visit. Russ remains under hospice care even though his deterioration has slowed. 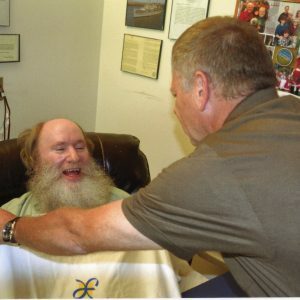 “Medications change and doses change, but Russ’ spirit to live does not. I am very thankful to Hospice of the Red River Valley for all they have done and continue to do,” Sherry shared. For 12 of Sherry and Russ’ nearly 20 years of marriage, Russ has been sick. It is seasons of life such as these when true commitment and devotion are tested. Sherry’s dedication to Russ is a picture of lasting love—love that is a conscience, day-to-day decision, regardless of what the future may hold. Editor’s note: Russ passed away peacefully on August 15, 2015.